Original Design Stitched for JDR-BE by Dexie Smith. A stitch review is provided. 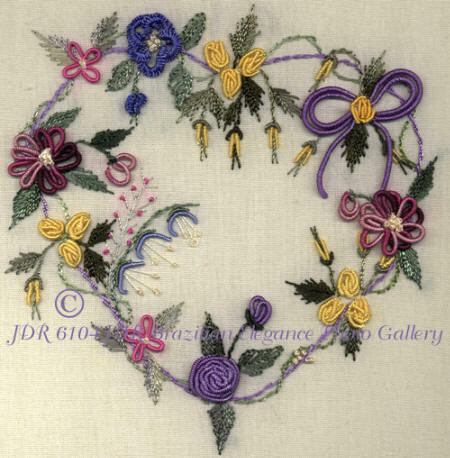 If you have the basic knowledge of cast-on stitches, blanket stitches, bullions, French knots, stem stitches and alternating satin stitch this design will be very easy. If you are just starting in your adventure with Brazilian Embroidery this will be a great learning design.